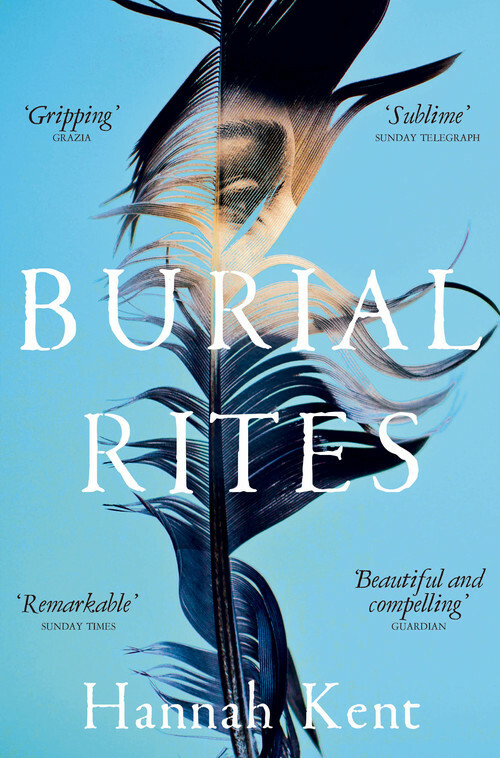 Burial Rites, by the Australian author Hannah Kent, was released last year to great critical acclaim, shortlisted for the Bailey’s Women’s Prize for Fiction, and winning multiple other awards. The novel is based quite closely on a true story: that of the last executions to take place in Iceland, in the January of 1830. As you have probably guessed, it is not a cheery tale. The novel’s style is varied. While much of it is a straightforward narrative, letters and other documents are used with subtlety to provide exposition and give insights into characters’ mentality. Agnes’ streams of consciousness provide the most emotionally charged sections of the novel, appearing with increasing frequency towards the climax of the novel to reveal her history with murder-victim Natan. Her physical descriptions of the world are vivid and effective. The crumbling turf walls of the buildings, the blood of slaughtered sheep, the phlegm, the dung, the cold, all of the intricate descriptions of the characters’ commonplace world are spread thickly through the novel to bring forth the daily horrors of peasant life to modern eyes. Through these, Kent is able to conjure the Iceland of two centuries ago as a cruel, hard land, breeding cruel, hard men, and to explore unflinchingly women’s place in such a landscape. It is easy to forget that Iceland – now known for its geothermal energy and tremendous natural beauty – was until recently still a society of subsistence farmers scratching a poor living from marginal land. Indeed, the eruption of the volcano Laki in 1783, followed by a famine which killed perhaps one in four Icelanders, would have been within living memory for some of the characters (although this event was not specifically mentioned in Burial Rites). Male sexual power over women is a theme running throughout the novel, ranging from Natan’s manipulation of Agnes to an awareness of the general position of young women in a brutally patriarchal society. The vulnerability of servant women to predation by wealthy farmers, and the double standards applied to male and female promiscuity are important themes in Agnes’ character history. The position of Iceland as part of the Danish Empire is also used with subtle skill. Throughout Burial Rites, Denmark is almost exclusively mentioned in relation to punitive and arbitrary colonial power. Various accessories to the murder are transported to and imprisoned in Denmark, while the axe used to execute Agnes and Fridrik is sent from Copenhagen. Although this is not hugely crucial to the plot, it does serve to underline the isolation of Iceland as a nation, and, by extension, the characters. The characters are mostly very well-drawn and believable; Agnes is a grimly plausible victim of circumstance and society, fallen into depression after the implosion of her only chance of happiness, and the degradation of her trial and imprisonment. The other female protagonist, Margrét, is the wife of the farmer assigned to house Agnes until her execution. She is also eminently realistic as an emotionally conflicted wife and mother, afraid for her children with ‘the murderess’ on her premises, frankly annoyed by the extra mouth foisted upon her poor farmstead, but also with deeply humane impulses toward Agnes. The narrative of her being gradually won-round to affection for Agnes may seem a little clichéd, but is convincing and powerful. The family’s two daughters, Steina and Lauga, however, are drawn less imaginatively, one is astute, beautiful and one-dimensionally unsympathetic to Agnes, the other unattractive, inelegant, klutzy but with a more developed moral centre. They are at times too close to a cartoon angel and devil sitting on Margrét’s shoulder. However, it is difficult to see what else Kent could have done with them: they are historical characters known to be living in the farm at the time, so they required some presence in the narrative. Kent also makes effective use of the Old Icelandic Sagas, and their cultural resonance in later Iceland. This is not overdone, but there is a sense that the characters see Iceland of the 19th century as being extremely drab compared to the noble and exciting ‘Saga Age’ – Anges’ love-struck description of Natan as a ‘saga-man’, for instance. There is a deliberate irony in this; whilst the Icelandic Family Sagas might work on a grander scale, dealing with the blood-feuds of wealthy and powerful magnates, they still concern the same jealousy, pride and moral ambiguity experienced by the characters of Burial Rites. Although the literary technique of the novel is very different to that of the sagas, the imagery woven through is very similar: the mountains and moorland, the proud farmers and cramped farmhouses and, eventually, bloody murder and a burning farmstead. Both this novel and the best of the Icelandic Sagas are also profoundly human, and humane, stories, dealing with ordinary people in extreme situations and the morally ambiguous choices they must take. Specifically, Kent draws frequent parallels between Agnes and Gudrun Osvifsdottir, and the murder of her lover Kjartan Olafson in Laxdaela Saga. In general, there are some similarities between the two characters: both are determined and morally ambiguous women involved in fatal love affairs. But the exact similarities implied by Burial Rites seem a little forced: Gudrun has far more agency than Agnes ever does, and the structure and outcome of Kjartan’s killing is noticeably different to that of Natan. Burial Rites is an excellently-written and meticulously researched novel, and a very confident debut work. I look forward to seeing where she goes next. For more information about ‘Burial Rites’, please visit the author’s website.